Home News trending! Android 7.0 Nougat has only 0.4 percent adoption after three months of launch!!!!! Android 7.0 Nougat has only 0.4 percent adoption after three months of launch!!!!! Fragmentation is a huge issue for Android and it still remains a major concern. The latest numbers around the adoption of different versions Android mobile operating system was recently released by Google. It reveals that the latest Android 7.0 Nougat update which was released in September, is now running on 0.4 percent of Android devices. Considering the huge user-base of Android, the adoption of the new update is very small. Android has about one billion active users, the 0.4 percent adoption means that about 4 million devices are running on the new update. Last month the adoption was only 0.3 percent, which means in a month there has been an increase of a million devices. Comparing this to Apple, there is a massive difference. According to Appple, close to 63 percent of iOS devices are running iOS 10 as of November 27. Other changes in Android adoption from November to December include Android 6.0 Marshmallow going up 2.3 points to 26.3 percent. Rest all of the other versions saw a drop. Android 5.0/5.1 Lollipop dropped 0.1 point to 34 percent, Android 4.4 KitKat down 1.2 points to 24 percent, Android 4.1/4.2/4.3 Jelly down 0.9 points to 12.8 percent, Android 4.0 Ice Cream Sandwich down 0.1 point to 1.2 percent, Android 2.3 Gingerbread down 0.1 point to 1.2 percent and so on. Devices without Google Play are not included in these stats. Fragmentation is a huge issue for Android and it still remains a major concern. The latest numbers around the adoption of different versions Android mobile operating system was recently released by Google. 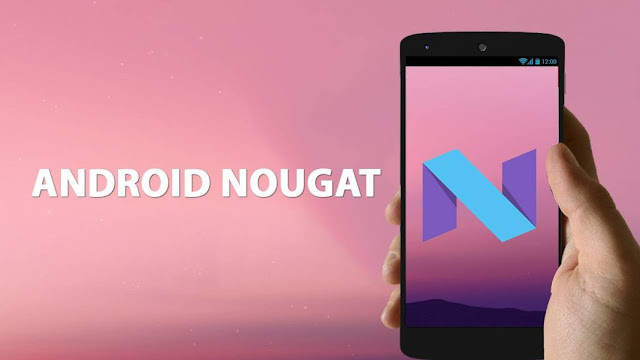 It reveals that the latest Android 7.0 Nougat update which was released in September, is now running on 0.4 percent of Android devices. Considering the huge user-base of Android, the adoption of the new update is very small. Android has about one billion active users, the 0.4 percent adoption means that about 4 million devices are running on the new update. Last month the adoption was only 0.3 percent, which means in a month there has been an increase of a million devices. Comparing this to Apple, there is a massive difference. According to Appple, close to 63 percent of iOS devices are running iOS 10 as of November 27. Other changes in Android adoption from November to December include Android 6.0 Marshmallow going up 2.3 points to 26.3 percent. Rest all of the other versions saw a drop. Android 5.0/5.1 Lollipop dropped 0.1 point to 34 percent, Android 4.4 KitKat down 1.2 points to 24 percent, Android 4.1/4.2/4.3 Jelly down 0.9 points to 12.8 percent, Android 4.0 Ice Cream Sandwich down 0.1 point to 1.2 percent, Android 2.3 Gingerbread down 0.1 point to 1.2 percent and so on. Devices without Google Play are not included in these stats.